Faye, 27, from Sheffield, was working as a Speech and Language Therapist when she was diagnosed with chronic Lyme Disease. It severely affected her ability to carry out normal day-to-day tasks. At its most severe, Lyme Disease left Faye, 27, from Sheffield, unable to wash, dress or feed herself and she could only leave the house using a wheelchair. Before Lyme Disease, I’d graduated from university and had started working in a job I loved. It was really difficult to have to let go of that. Suddenly losing my personal, physical and financial independence was frightening. Trying to stay productive, Faye began blogging and, when able, made jewellery which she sold online, donating the profits to chronic illness charities. Then, when a friend sent Faye an especially thoughtful care package, Faye had an idea. I wanted to help people show their loved ones they were thinking of them even from far away. I decided I wanted to make and sell ‘hug in a box’ gift hampers. I’d heard about the Prince’s Trust so I got in touch. Faye’s next step was Enterprise – The Trust’s four day intensive course that helps unemployed young people start up in business. After researching the market, Faye applied for The Trust’s Will It Work Grant in order to market-test and prototype her idea. I made 25 prototypes and sold 24 in three weeks! Positive feedback gave her further confidence to push forward and launch BearHugs – bespoke gift packages filled with handmade treats designed to capture the warmth and comfort of a hug. 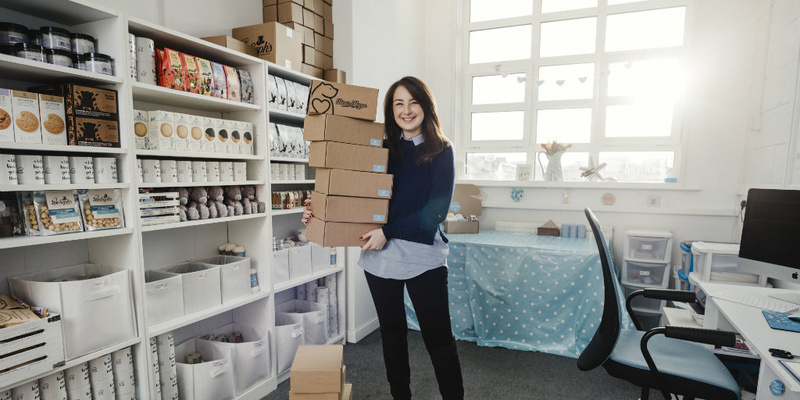 In less than a year, Faye sold more than 1,000 BearHug boxes and had forged a philanthropic partnership with the charity Post Pals, sending gifts to seriously ill children and their siblings. Two years after launching with the support the Prince’s Trust, BearHugs has sold over 10,000 gift boxes, been recognised nationally with a number of awards and taken on a team of three members of staff. BearHugs is proud to offer remote, flexible roles for people affected by chronic illness. BearHugs gift boxes are also now available on Tomorrow’s Store Online. Faye’s commitment and determination to break down the barriers and limitations of her illness are extraordinary. She has made BearHugs a success and hopes to use it to continue offer flexible working opportunities to those living with chronic illness. 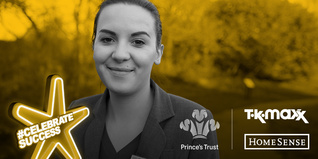 The guidance The Prince’s Trust gave me has been invaluable. They’ve given me purpose and have helped me turn my little idea into a life-changing reality.